Today, green building has gone from an ambition to a standard. Many builders and developers tout the green features of the residences they erect. And if they aren’t doing so now, they will be soon, thanks to initiatives such as the American Institute of Architect’s 2030 Commitment program calling for all new buildings, developments, and major renovations to be carbon neutral by 2030. But terms can be misleading. In truth, achieving sustainability takes more than just building green. Why? Green building is only part of a larger goal—sustainability. The two terms are often used interchangeably, but they are quite different. Sustainably built homes, condominiums, and multifamily buildings offer homeowners and residents a more all-encompassing, cost effective, and strategic option. Yet if you Google green building and sustainable building, the numbers say it all: the former gets almost four billion hits, while the latter only about 300 million. Another logical step up is to focus on resilient design. Natural disasters have taught us that green technologies and materials don’t matter much if a building becomes uninhabitable thanks to storms, flooding, earthquakes, power outages, and wildfires. It’s key to focus on designing and building sustainable and resilient homes, whether they’re single-family houses, multifamily buildings, or condominiums. This is especially important at the luxury level, where trends begin, but architects and builders have been slow to embrace sustainability. Why is the luxury market reluctant to adapt? For builders and developers, building residences that are sustainable and resilient can be expensive, adding tens of thousands of dollars to their price per square foot. It’s often more economic for owners to live in or rent these residences, but the developers’ primary goal is to sell them. For homeowners who want bespoke single-family homes, assembling a team of “green” professionals and deciding which certification programs to follow is a huge pain point. It takes dozens of interviews (and hours) to assemble the right team, and not all green standards are created equal. Some are more encompassing than others, or quite expensive to fulfill. One strategy we embraced last year in Chicago, which can be duplicated anywhere, was to form a one-stop team of architecture, design, and smart technology professionals with deep experience and knowledge in sustainable design and building. 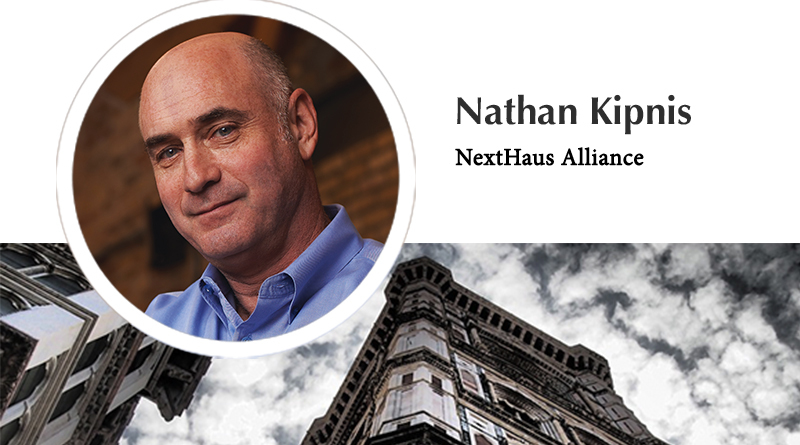 We call ourselves NextHaus Alliance, and we are focused on efficiently delivering sustainable, resilient, net zero, luxury residences. Reducing energy usage and CO2 emissions by applying as many passive design measures as possible. These include a tight building shell with high levels of insulation and efficient windows and doors; integrating as much natural daylight and ventilation as possible into a structure’s design; using renewable and/or recycled building materials; and choosing highly efficient mechanical systems, fixtures, finishes, and appliances. Designing spaces that are flexible enough to fulfill a range of needs; can be adapted in the future for aging residents; and follow the tenets of Universal Design. Incorporating renewable energy systems, including solar photovoltaic systems, and making sure any electricity coming in from the grid is also renewable. This is possible in many regions of the country through third-party certified renewable sources. For instance, in Illinois, Solar Renewable Energy Credits (SRECs) are available at prices that are less than, or roughly equivalent to, the current electrical costs. Following sustainable building objectives should drive down energy use significantly. It may even bring a home all the way to a full “net zero” status. But most significantly, homes that are sustainably built and resilient are less expensive to operate and maintain; are more carefree thanks to their sustainable systems; and can handle natural or man-made disasters. And luckily for the homeowner, homes with these features generally command higher resale values.